The species of Niesslia including anamorphs formerly known as Monocillium form a distinct group in the Hypocreales and can be delimited by several unique morphological characters. Niesslia species inhabit decaying plant substrates, such as leaf litter or bark of diverse plants, especially coniferous hosts. Certain species occur on and may parasitize lichens, fruiting bodies of other fungi and even nematode eggs. Taxonomically, species of Niesslia are classified in the Niessliaceae. Niesslia species are recognised by their tiny superficial, mostly dark brown, shiny and typically spine covered ascomata. Monocillium-like phialides formed in situ and in culture are usually partly or entirely thick-walled. Phialides with wall thickening only in their basal parts sometimes expand in width to taper again into a conidiiferous neck, while others terminate in a non-sporulating vesicle. Based on the revised generic concept presented here, Niesslia accommodates 50 cultured species plus around 40 species known only from herbarium material. Some of the latter species may eventually have to be excluded from Niesslia but are maintained in the genus ad interim, until DNA sequences necessary for their accurate reclassification are available. The taxonomic concept based on morphological characters is corroborated by DNA sequences of phylogenetic marker loci such as the large subunit (28S) of the ribosomal RNA gene, internal transcribed spacer regions 1 and 2 including the 5.8S ribosomal RNA gene, and partial sequences of translation elongation factor 1-α, β-tubulin 2 and γ-actin genes. These DNA barcodes support most of the morphologically delimited species and the generic concept of Niesslia. This article is part of the ‘Special Issue on hyphomycete taxonomy and diversity in honour of Walter Gams who passed away in April 2017’. The online version of this article ( https://doi.org/10.1007/s11557-018-1459-5) contains supplementary material, which is available to authorized users. The manuscript was originally conceived and initiated by the main author, Dr. (Konrad) Walter Gams, who passed away on April 9, 2017, at the age of 82 in his second home in Italy. All species descriptions, dichotomous keys, pencil drawings of examined fungal isolates and most of the text originated from WG’s studies of specimens collected by himself and other mycologists around the globe. The foundation of a taxonomic revision of the ascomycete genus Niesslia and its monocillium-like anamorphs was established in his renowned book on ‘Cephalosporium’-like hyphomycetes published in 1971. In subsequent decades, Walter Gams published two new Niesslia/Monocillium species as he continued to collect, isolate and examine fresh material in preparation of a comprehensive monograph. More specifically, WG contemplated the idea of a taxonomic revision during the hyphomycete course held in Sugadaira, Japan, in August 1997. HJS and TG vividly recall conversations with the main author about his intention to concentrate on new collections of Niesslia specimens including its anamorph, formerly known as Monocillium. His plans later culminated in a draft manuscript on new and revised taxa of Niesslia that was coauthored by Margaret E. Barr and Gary J. Samuels but in the end was never published. After his retirement and departure from the Centraalbureau voor Schimmelcultures in 2008, WG dedicated more of his time to a compilation of available data and knowledge on this and other groups of hypocrealean ascomycetes. With the support of BS and the Westerdijk Fungal Biodiversity Institute, preserved cultures were re-examined and barcoded based on DNA sequences of phylogenetic marker genes. 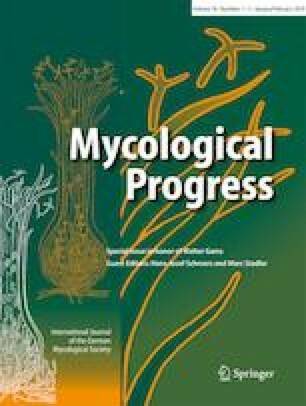 Preliminary results of the taxonomic studies on Niesslia were summarised on a scientific poster presented at the 10th International Mycological Congress held in Bangkok, Thailand, in 2014. With ailments and progressing age, the status of WG’s taxonomic studies did not change significantly after 2015, which represents the most recent information captured here. For decades, a taxonomic revision of the genus Niesslia was a matter close to WG’s heart. Without doubt, other mycologists contributed material, data and information to his studies of these inconspicuous, often minute representatives of the Hypocreales. Of course, many of them deserve co-authorship as much as any of those listed on the paper. As former students, HJS and TG took on a commitment of reviewing and compiling scientific material from WG’s estate, including original versions of species descriptions, DNA analyses, literature references and other more or less complete parts of the text. HJS inventoried pencil drawings and notes of the Niesslia material examined by WG, and a considerable proportion of drawings already were inked by an unknown artist. The coauthors tried to preserve as much of the original text and information as technically possible without deviating from WG drafts. However, they edited and elaborated on the taxonomic concepts conceived by WG, and responded to concerns by peer reviewers. BS facilitated most of the exchange between Walter Gams and the culture collection of the Westerdijk Fungal Biodiversity Institute. From the WFBI collection, BS also extracted the DNA and generated DNA barcodes of the fungal cultures studied. We thank Arien van Iperen and Trix Merkx at WFBI for checking specimens and specimen numbers in the herbarium of the WFBI. HJS and TG gratefully acknowledge the assistance of curators Ann Bogaerts (Botanic Garden Meise, Belgium, herbarium BR), Begoña Aguirre-Hudson (Royal Botanic Gardens, UK England, Kew, K), Jorge A. Chayle (Museo de La Plata Herbarium, Universidad Nacional de La Plata Herbario, La Plata, Argentina, LPS), Cony Decock (Université Catholique de Louvain, Belgium, MUCL), Lorinda Leonardi (New York State Museum, USA New York, Albany, NYS), Rossella Marcucciz (Erbario dell’Università di Padua, Italy, PAD), and Jordan K. Teisher (Academy of Natural Sciences, USA Pennsylvania. Philadelphia, PH). Curators of these herbaria and others including Botanischer Garten und Botanisches Museum Berlin-Dahlem, Germany, Berlin (B), The Natural History Museum, UK, England, London (BM), U.S. National Fungus Collections, USDA-ARS, USA Maryland, Beltsville (BPI), Agriculture and Agri-Food Canada, Canada, Ontario, Ottawa (DAOM), CABI Bioscience UK Centre, UK England, Egham (IMI), Naturalis, Netherlands, Leiden (L/U), Botanische Staatssammlung München, Germany, München (M), The New York Botanical Garden, USA, NY, Bronx (NY), Muséum National d’Histoire Naturelle, France, Paris (PC), Manaaki Whenua Landcare Research, New Zealand, Auckland (PDD), Swedish Museum of Natural History, Sweden, Stockholm (S), Università di Siena, Italy, Siena (SIENA), Museum of Evolution, Sweden, Uppsala (UPS), and Naturhistorisches Museum Wien, Austria (W) made specimens and data available to WG. Data related to certain specimens cited here were also downloaded from the Global Biodiversity Information Facility (GBIF 2018). Finally yet importantly, we would like to thank Amy Y. Rossman (Department of Botany and Plant Pathology, Oregon State University, USA) and Keith A. Seifert (Ottawa Research and Development Centre, Agriculture and Agri-Food Canada) for numerous comments, suggestions and corrections that significantly improved the quality of the text.